I wake up in bed in a crazy sweat. I hear yelling and crashing everywhere. I rub my head and adjust a bit. Once I wake up more I realize what&apos;s going on and I quickly rush up and down the stairs. I see Brendon on the floor, his eye black and nose and mouth bleeding. I see Ryan constantly kicking him in the stomach ad glass shattered all over the floor. "STOP!" I screech which makes Ryan turn around. He laughs and takes another beer bottle and smashes on Brendon&apos;s heads. He then walks to me and grabs my wrists. I scream out for help and I see Brendon fight to get up but he falls to the ground. "Please! Let me go! Brendon!" I scream. Ryan laughs. 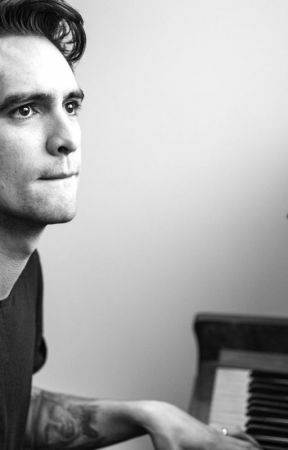 "Brendon? He doesn&apos;t care about you...He&apos;s sing you (Y/N) That&apos;s why I beat him. He said he was just using you to get his mind off of Sarah. He wanted to make Sarah jealous. He was playing you...he&apos;s been with Sarah this entire time" He says. 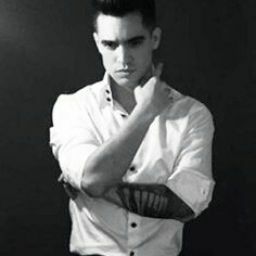 I sob and see Brendon black out. "Get off of me!" I shout trying to get away. His grip tightens and he kisses my neck. I  scream out but become weak in the knees as he reaches my sweet spot. he lets go and I fall to my knees. He pats my head with a chuckle. "I&apos;ll be back" He says and leaves. "Brendon!" I shout running to Brendon&apos;s side. I shake him a bit and he doesn&apos;t move. I call 911 and he gets taken away. I call Josh and Tyler to take me up to the hospital. I sit in the back seat with josh as he holds me and I cry into his chest.